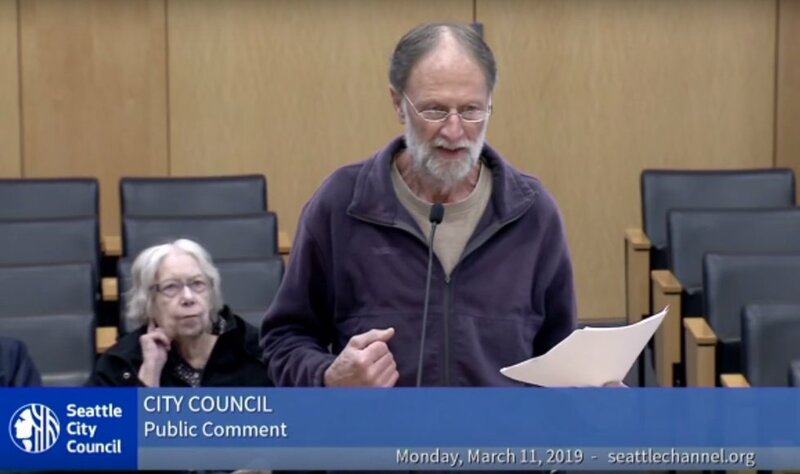 A man took to the microphone for the public comment period at last week's Seattle City Council meeting, looked at the members seated high in their chairs in front of him, and hit the elected officials with an observation that should've roused them to attention. "It's real discouraging to come up here and see all the heads down, it's like," he said before presiding Councilmember Debora Juarez interrupted him, KTTH-AM reported. "Sir, you're on a two-minute timer here, so let's go," Juarez — who's seated third from the right in video screenshots — replied. 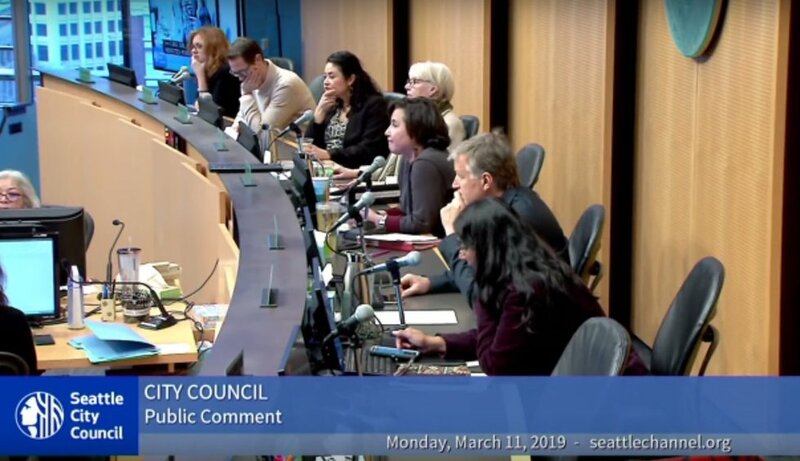 Councilmember Mike O'Brien looked up from his phone, the station said, noting that councilmembers Kshama Sawant and Lorena Gonzalez swiped and typed on theirs. "So it was unreasonable for me to ask that people look up and give me their attention?" he asked, after which Juarez informed him he only had a minute and 30 seconds left. The man folded his prepared statement, noting he had planned on discussing the "state of our democracy" — and a loud sigh was heard. It isn't clear who was losing patience. 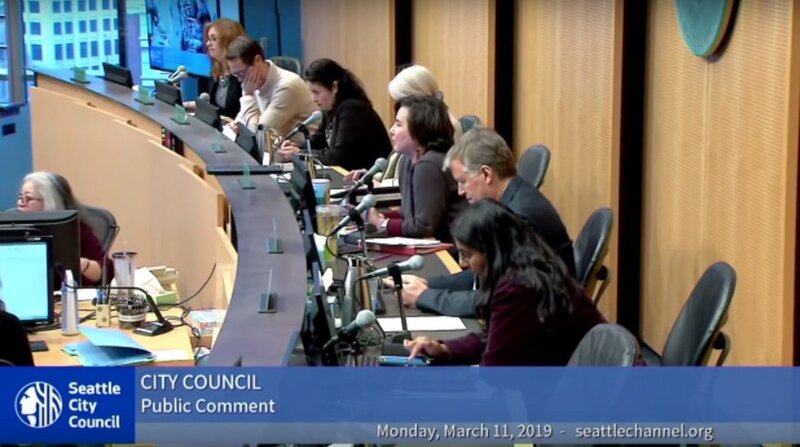 Undeterred, the man told the council that Democratic U.S. Rep. Pramila Jayapal of Seattle got a good bit more time than two minutes to speak to them recently while everyone else only got one minute each, KTTH said. "It reminded me of George Orwell's famous scene from 'Animal Farm' about how all animals are equal, but some animals are more equal than others," the man said. "And that's how I feel like I'm being treated now, just because I was kind of asking for your attention, like I noticed you all were very attentive to Ms. Jaypal last week. And I just wanted to ask for your attention before I started, and I immediately got a hostile response back from you. I don't understand that." He asked the council members if they ever responded to constituents. Juarez again reminded him of his time limit. Councilmembers Rob Johnson and Sawant returned to their phones, the station said, adding that Gonzalez rested her head on her hand. "Well, it's all on tape," the man concluded, "and I think it's a pretty sad commentary that you think that asking for you guys to look up off of your computers and give attention during the short period of time was an unreasonable thing. I really feel bad about that." What else do we know about the Seattle City Council? Councilmember Sawant has made quite a few headlines since her 2013 election, given her avowed socialist stance. Sawant also was an Occupy Seattle organizer. In addition, the author of a Seattle Times op-ed a few years back said he was pleading with Councilmember Juarez to address the city's homelessness problem — even through involuntary means. Juarez's reply was, "What is this? Nazi Germany?" the writer said, adding that he walked out of the meeting after that and made plans to move out of the city. Moreover, TheBlaze reported last July that nearly four dozen police officers resigned from the Seattle Police Department in what was described as a "mass exodus" over the city's increasingly liberal and progressive policies. "It's just depressing to serve in a place where many city council members who are coming out at times with negative comments about the police," Rich O'Neill, vice president of the Seattle Police Guild, told KCPQ-TV, explaining that many officers left Seattle for neighboring jurisdictions. Also last year the city council repealed its "Amazon tax" only a month after the measure passed unanimously. Council members, after pressure from businesses and local citizens, voted to repeal it rather than leave the measure up to voters. The tax would have cost companies $275 annually per full-time employee with the goal of raising $47 million annually to help the homeless. Amazon threatened to leave Seattle over the tax. What a bunch of arrogant pricks!